Home health agencies in the 16 states served by Palmetto GBA Medicare Administrative Contractor could see a significant increase in the amount of records reviewed as part of an expanded Probe & Educate initiative. Some agencies could be required to provide as many as 20-40 records on average instead of the five records requested for previous Probe & Educate reviews, according to Bobby Lolley, Executive Director of the Home Care Association of Florida. “This review will be extensive, with 20-40 records on average being requested, not just another five records like in previous rounds,” Lolley said in an email to HCAF forum members this week. Agencies subject to the significantly increased record requests are those which received denials of two or more records reviewed in an earlier round of the Probe & Educate initiative. Some of those agencies did not receive specific instruction they were expecting from the MAC as part of the process because the Probe & Educate initiative was suspended earlier this year. Lolley said all agencies in Round 2 can be subject to further review, even those agencies which did not complete Round 1 and receive one-on-one education from the MAC before that round was suspended. Additional concerns included a lack of specific orders for therapy and services, omissions and inconsistencies in documentation, but the Face-to-Face was one of the most troublesome areas for agencies, she said. “Agencies which have not yet received training in the Face-to-Face should make doing so a priority,” J’non said. J’non will offer an online audio training session titled “Make the Face-to-Face Count” next Thursday, July 13, reviewing valid and invalid F2F items pulled from actual charts, and discussing specific methodologies. For details, click here. Hospice agencies may be interested in an online audio training program titled “Improving Hospice Documentation,” presented by HHS Special Projects Director Heather Calhoun on Tuesday, July 11. For details, click here. The 16 states in the Palmetto GBA area include Alabama, Arkansas, Florida, Georgia, Kentucky, Louisiana, Mississippi, New Mexico, Illinois, Indiana, Ohio, Oklahoma, North Carolina, South Carolina, Tennessee, and Texas. 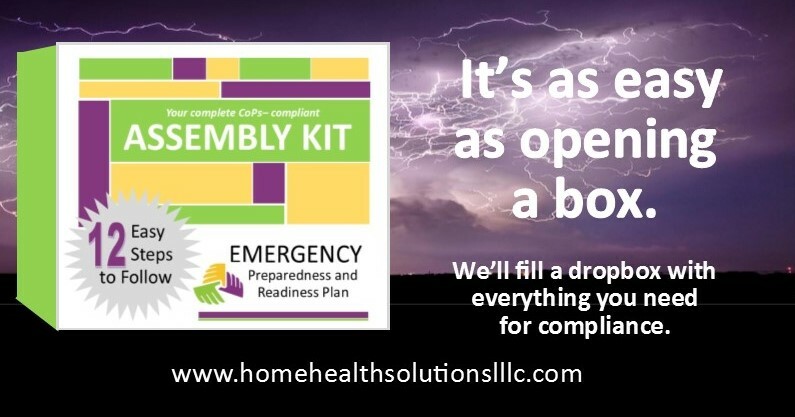 We’ve sifted through all the new Conditions of Participation, thought about how best to help you apply the new requirements in your home health agency’s operation, and the result is the CoPs COMPANION, four books filled with helpful charts, tools and detailed information about each aspect of the administrative, operational and procedural changes ahead for the home health field. In Volume I: We detail all your new responsibilities, from Start of Care right through Transfer and Discharge. You’ll find helpful charts showing which information must be given to who, and on what schedule, as well as what to include in the new Transfer or Discharge Summary you’ll have to prepare. We also offer a helpful tool for making the decision about whether to re-certify or discharge a patient. In Volume II: We list the “checkpoints” for when you’ll need to notify the physician or conference with the interdisciplinary team to meet new care coordination requirements. You’ll read about the role of the new Clinical Manager, and see a job description. We also explain how to meet new requirements for patient participation in the development of care plans. In Volume III: We’ve put together a step-by-step guide to take the mystery out of QAPI, and our helpful documentation worksheet will walk you through how to create reports detailing your agency’s PIPs. Since the Infection Control program required by CoPs will need to be an integral part of your agency’s QAPI program, we’ve featured it here, too. 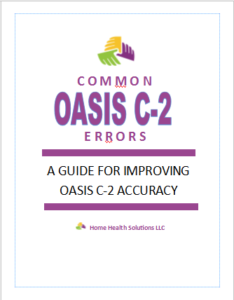 In Volume IV: We show you how and why CMS is demanding more accountability from home health agencies – from very specific new demands on the governing body to higher standards for agency administrators. And this is just SOME of the helpful information we’ve packed into this informational series. It’s designed to put a trusted industry expert at your side through the transition process, making compliance easy! At less than $60 per book, how can you afford NOT to have this detailed reference series? 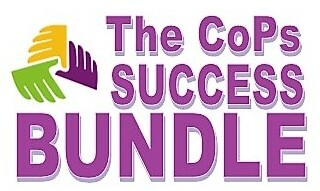 Click here to visit The Solutions Shop now to check out this 4-volume series plus all our other helpful CoPs products. Future-gazing: A delay or not? Either way, there’s work to do! 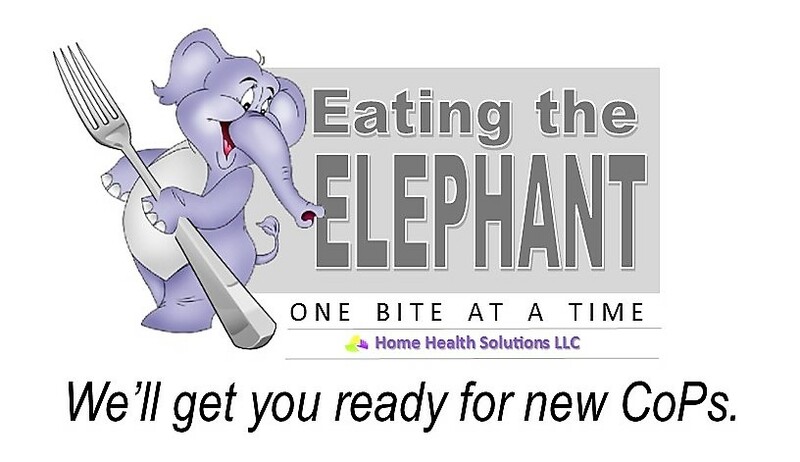 It seemed almost too good to be true, like some April Fool’s Day prank offering false hope to home health agencies braced for a new onslaught of federal regulations. Just one day before home health agencies in Florida expected to join Illinois agencies in a long-fought Pre-Claim Review (PCR) demonstration by the Centers for Medicaid and Medicare Services, two announcements by CMS changed the game. At least for now. 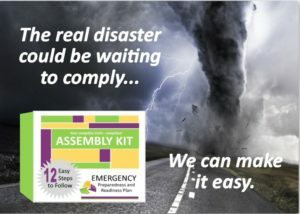 After months of deadlock, a temporary reprieve from massive new regulatory changes – not just in Florida but nationwide – suddenly shifted from highly unlikely to plausible. CMS announced Friday that it would grant Florida a second reprieve from the PCR demonstration scheduled to begin April 1, suspend for at least 30 days the PCR program in Illinois which has been underway since August, and possibly give home health agencies an additional six months to prepare for new Conditions of Participation in the Medicare program. But brand new CMS administrator Seema Verma, who was just confirmed to her position at the Department of Health and Human Services on March 13, was also seeking information last week. She asked to meet directly with home health care providers and advocates from both Florida and Illinois, where the nation’s first PCR demonstration began last summer. The new CMS administrator said she wanted to hear their concerns about the impact of increasing regulatory demands on home health. Following that meeting, CMS on Friday announced plans for a 60-day public comment period to seek information that will be evaluated in determining whether to delay the implementation of new CoPs, standards which are widely expected to be difficult, time-consuming and costly for agencies to put into place. 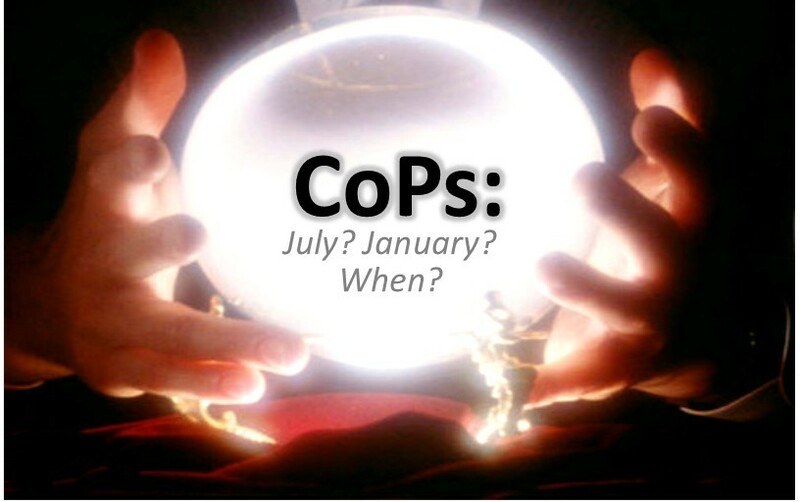 Under the current timeframe, agencies are required to meet new CoPs by July 13. The six-month delay, if approved, will give agencies until January, 2018, to make the necessary changes. Soon after that announcement, word came from CMS that the PCR demonstration in Florida would no longer begin on April 1 as scheduled — and that the ongoing PCR demonstration in Illinois would be suspended for at least 30 days. CMS offered no further timetable for PCRs to resume, but promised a 30-day notice will be provided before that happens. Home health professionals across the country greeted Friday’s news with a mixture of relief and cautious hope for a changing climate in Washington D.C. regarding federal regulations on home care. New Health and Human Services Secretary Tom Price has been described as knowledgeable about and supportive of many home health issues by William Dombi, Vice President of Law for the National Association of Home Care. 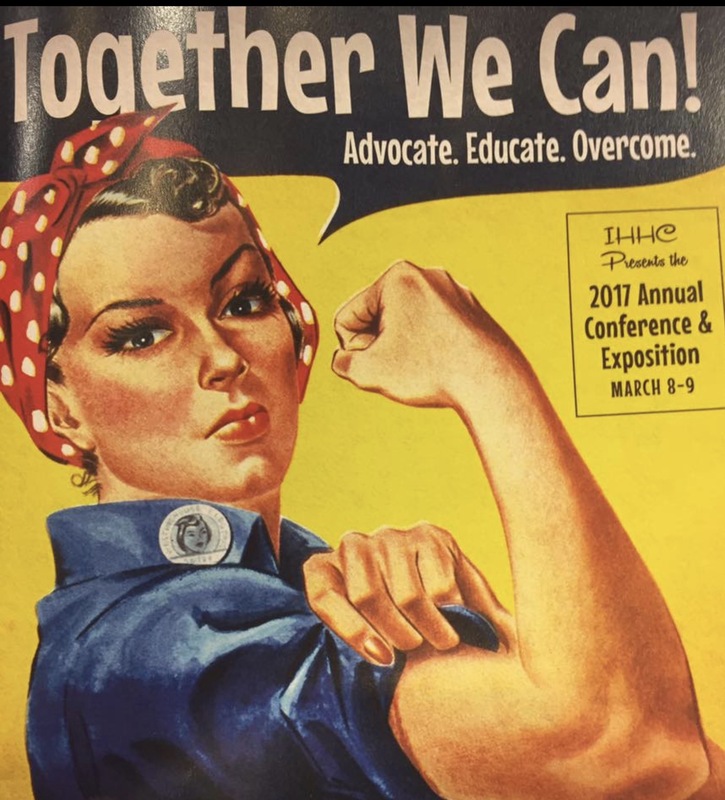 At the 2017 Illinois Home Care and Hospice Conference last month, Dombi painted Price as a potential ally for home health, telling attendees that Price was considering supporting a CoPs delay. But less than 100 days into a new administration, the Department of Health and Human Services headed by Price is still coming together, with many of its senior positions still unfilled. And, as battles continue between lawmakers over the government’s specific role in health care, many of our nation’s health care policies have yet to be determined, much less put into place. What will the delays in Florida and Illinois mean for PCR demonstrations? Industry experts believe it is likely that CMS will make changes to the PCR model before continuing with the demonstration first launched in Illinois last August. The demonstration in that state proved to be so chaotic, confusing and largely unsuccessful in its initial months that CMS was forced to pull the plug on expansions planned for Florida the following October and into Texas, Michigan and Massachusetts by the beginning of the year. With the issues that plagued Illinois corrected, what might the revised demonstration look like? Under the current model, agencies in states where the PCR demonstration operates have the choice to participate or not. However, those who do not submit the proper paperwork for review prior to filing actual claims will automatically lose 25 percent of any Medicare reimbursement on claims not previewed.There has been no word at this time that the 25 percent reduction for non-participation will change. While dramatic, last-minute PCR suspensions in Florida and Illinois grabbed most of the attention on Friday, the CMS announcement regarding a possible delay in the implementation of new Conditions of Participation could have a more immediate impact on most of the nation’s 30,000 home health providers. The implementation of most new CoPs would be delayed until January 13, 2018, under the proposed rule. Agencies would have extra time to meet some of the Quality Assurance and Performance Improvement (QAPI) standards required. 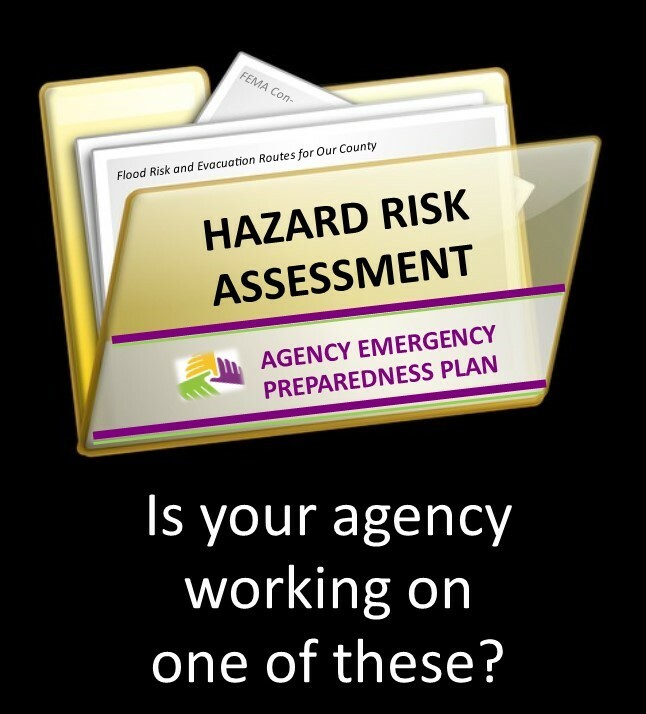 Phase-in requirements would give agencies until July 13, 2018, to implement performance improvement projects, allowing six months after the January 2018 start date to collect the data they will be required to use in their data-driven performance improvement projects beginning in July 2018. Additionally, the proposed rule would grandfather all administrators employed by agencies prior to January 2018, so that they do not have to meet the new personnel requirements identified in the revised CoPs. 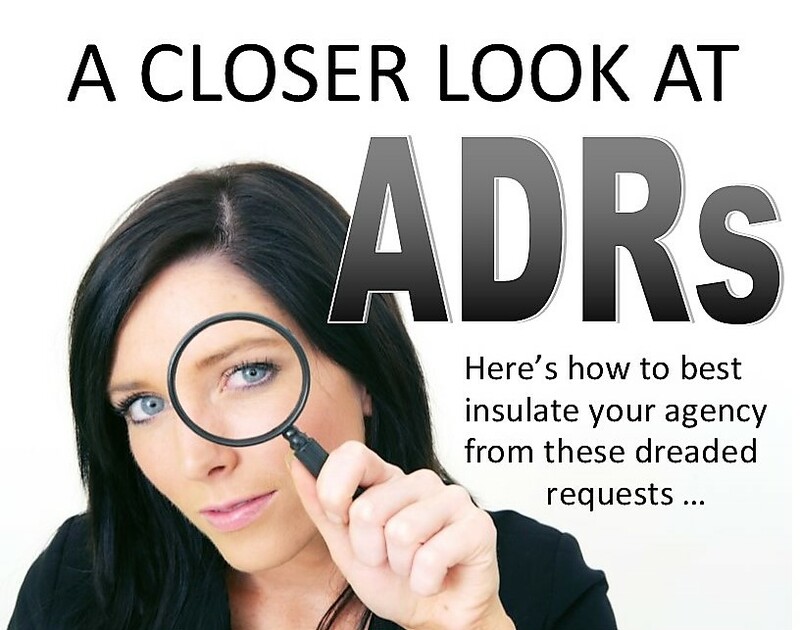 Of particular interest to agency administrators is what new personnel requirements will mean for future employment, and their ability to move from a grandfathered position at their current agency to an administrator position at a different agency. Under the new CoPs, administrators who do not meet the requirements would lose their grandfathered exemption when they leave one agency to take a position at another agency, J’non said. One of the primary arguments for delay of a start date for new CoPs has been concern about the lack of interpretive guidelines, which Surveyors will use to evaluate whether agencies have met the standards. Agencies have expressed concerns they are not certain exactly what Surveyors will be looking for, particularly in the areas of data-driven performance improvement projects. CMS agreed, in its announcement on Friday, that there is merit to that argument, and that is one of the reasons the delay is being considered. “With so many other major clinical and operational changes to implement in such a short period of time before July 13, which is the start date effective under current law, there has been growing concern in the industry about the lack of time in which to put all of it into place,” J’non said. New Conditions of Participation were approved in January, giving agencies only six months to make the required changes. 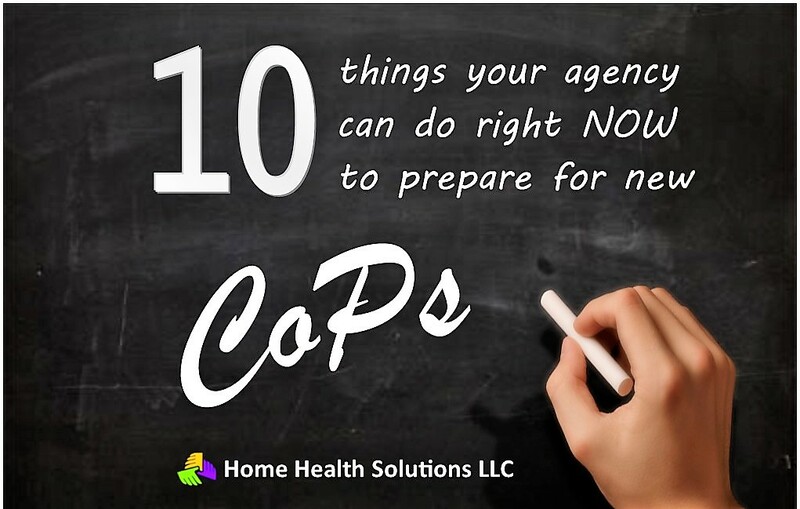 It was the first time in almost three decades that CMS addressed the standards set out for home health agencies under CoPs. “With such a limited amount of time, agencies really need to be making the necessary changes now, without waiting on interpretive guidelines,” J’non said. “Guidelines are more for the benefit of Surveyors. Agencies must meet the standards as they are set out in the CoPs. “It’s important to remember that the delay is only under consideration at this point, and the July 13 start date could remain in effect,” she said. Many agencies will not have the resources to make necessary changes on their own, especially under the current time frame, and will need to outsource much or all of the work, J’non said. Even if the delay is approved, and extra time is granted, many of the new requirements will be so labor-intensive that agencies will still need to rely on outsourcing, she said. 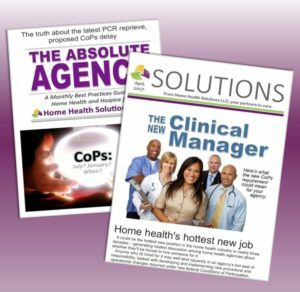 EDITOR’S NOTE: This article first appeared in The Absolute Agency, a free monthly e-newsletter published by Home Health Solutions as a best-practices guide for agency administrators.